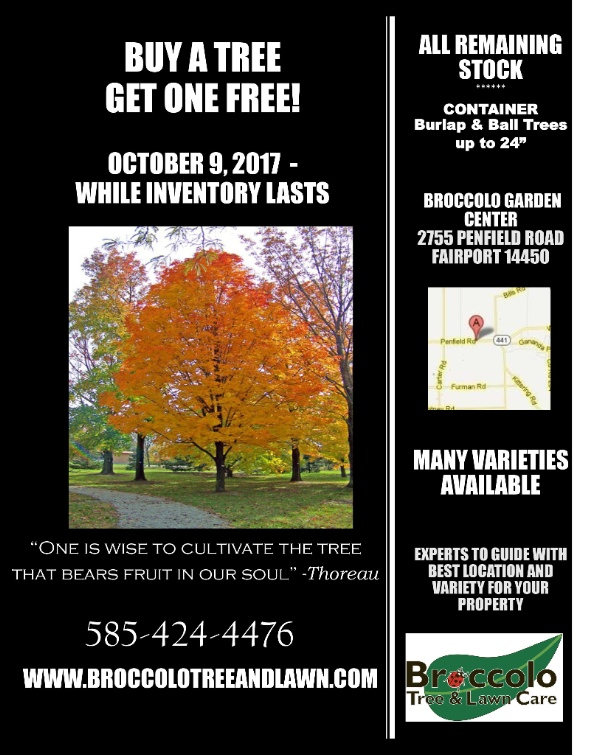 Buy a Tree…Get one free! Thank you! 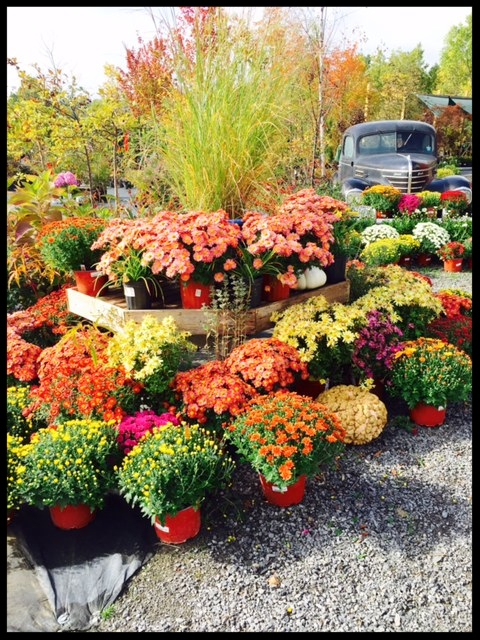 As we close out another growing season, we would like to thank you for your business and share some tips for this time of year…. If you live in an area that sustains deer damage, we offer a solution to protect your expensive trees and plants. Deer Guard can to applied early winter to deter deer from grazing on your landscape. For new plants, evergreens and plants susceptible to harsh winter winds, we offer Weather Shield. 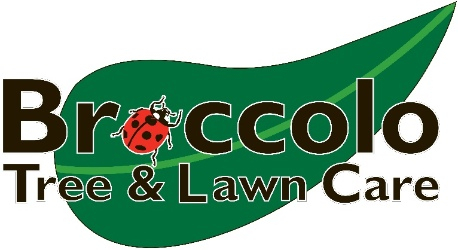 This product has anti-desiccant properties to protect your plants from Rochester’s winter weather. Fall clean up of leaves & gardens. Get prepped for winter! 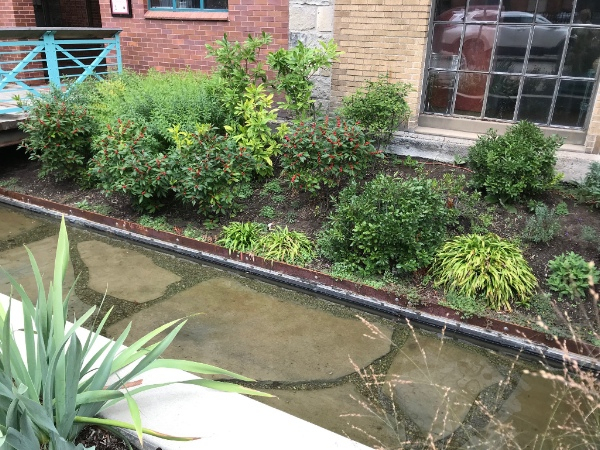 Edge/mulch beds for spring– Don’t wait, get on the 2018 schedule early! 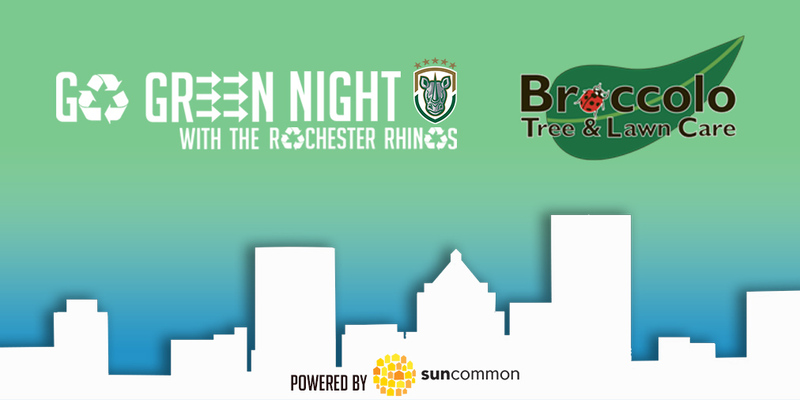 We are happy to announce Broccolo will be at the @RochesterRhinos match on Saturday, October 14th, for Go Green Night powered by @SunCommon! Look for us in the vendor village with the other local go green vendors! Access discounted tickets for only $10! Order Here. 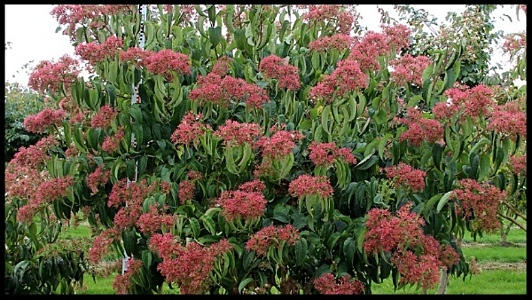 Here’s a plant to know about…Seven-son flower Heptacodium miconioides, a large, fountain-shaped, multi-stemmed, deciduous shrub that grows 15-20′ at maturity with a 10′ spread. Fragrant, creamy-white flowers in late summer to early fall. Each flower contains 7 tiny flowers (hence the common name of seven-son flower.) A good source of nectar for butterflies in the fall which provides good winter interest with tan exfoliating bark. 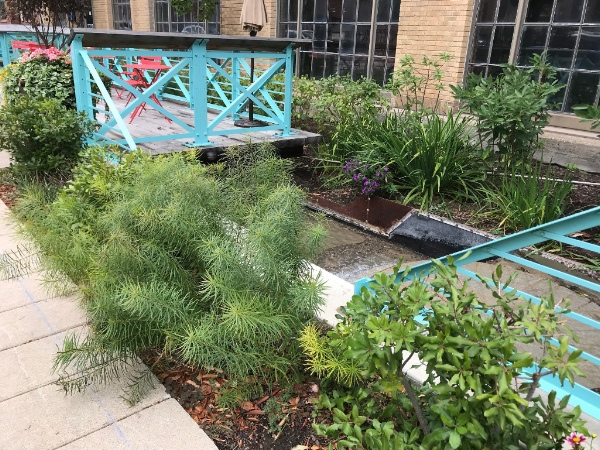 In case you missed the recent celebration and fun, our friends at Greentopia launched New York State’s FIRST EcoDistrict with an Eco Fun Fair on the Pont de Rennes Bridge! No worries! 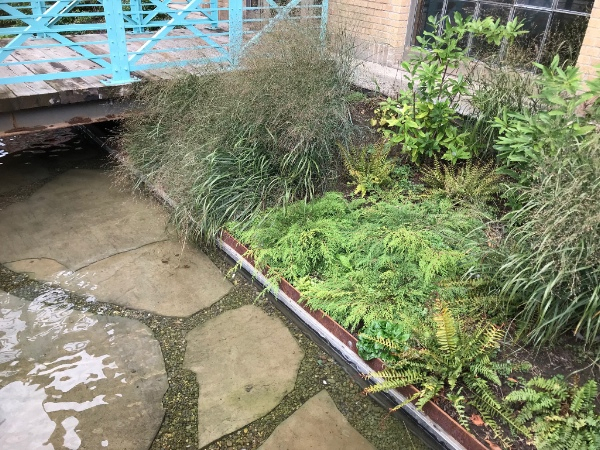 You can still visit the FlourGarden, a 300-foot-long sustainable, native-planted garden, water and fountain works, Broccolo helped create inside an abandoned raceway! 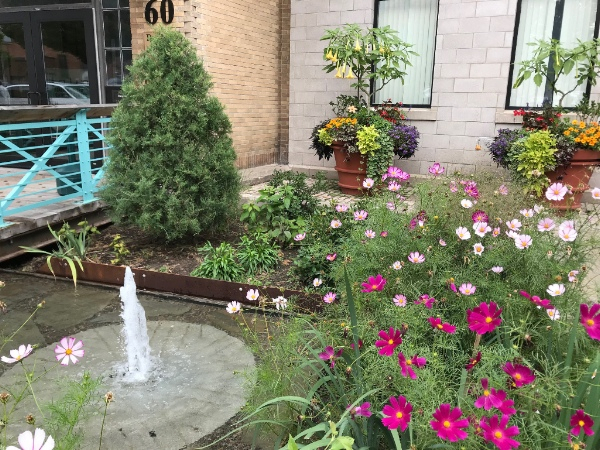 Take a stroll and check it out!